Breaker Attachment Rental – Allied Construction – AR165, is available for rent in Rochester NY, Ithaca NY and the entire Western New York region from the Duke Company. 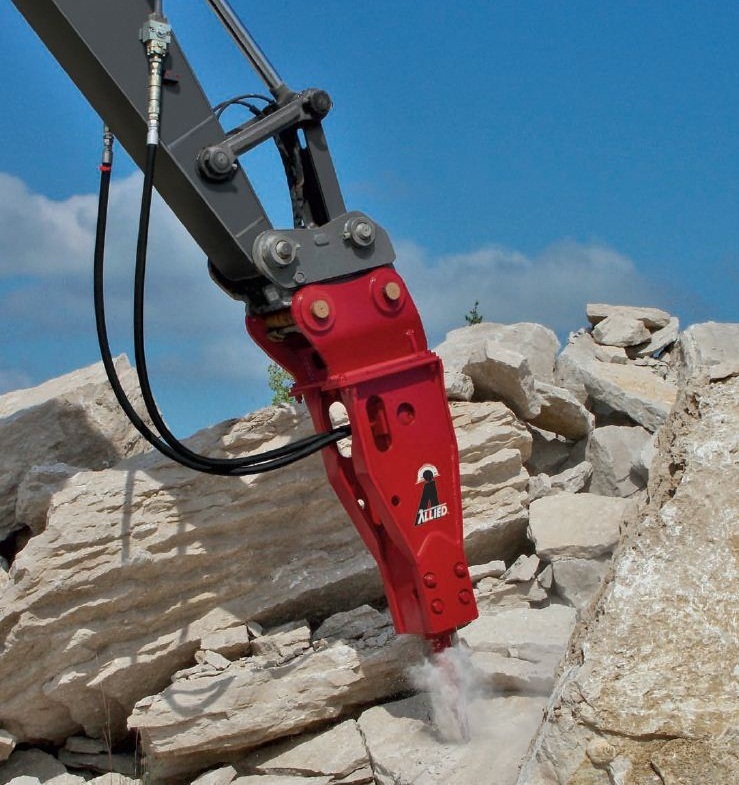 With a break-out force of 8,000 feet / pounds, this hydraulic breaker delivers the maxium force with every blow. Working Weight (Excavator Configurator) = 6,500 pounds.